A new year, a new selection of unique experiences from Away by TTI Travel and our Preferred Partners. You have a bucket list – a collection of all the places you want to explore in your lifetime. With these exciting openings, 2015 will be the year you cross those destinations off your list (or add a few more!). Choose from offerings by tried-and-true brands as well as the hippest newcomers. 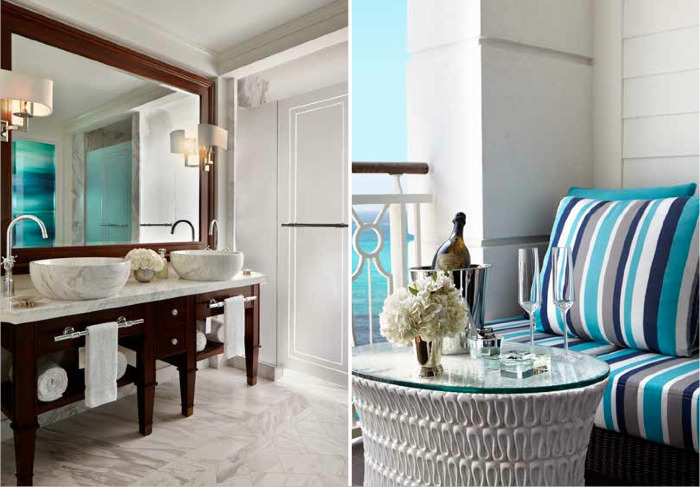 Using our extraordinary global hotel relationships, we will ensure you receive VIP treatment anywhere you stay. Follow us on an around-the-world tour of the destinations you’ve only dreamed of, creating unparalleled experiences that will truly take you Away. 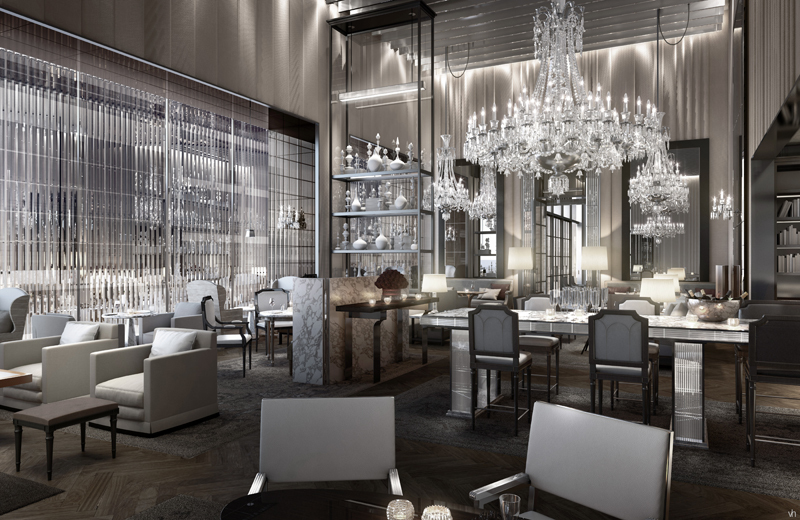 The Baccarat Hotel's first impression is breathtaking, but it's the rooms that really blow you away. In a city infamous for its lack of square footage, the Baccarat brings you delightfully large and airy sleeping quarters. Paired with the La Mer Spa, haute gastronomy, and the sparkle of their signature crystal, guests will find it an ultra-luxury home away from home. Speak to your Away by TTI Travel Advisor to book today, or Contact Us now. On the white sands of Nassau's Cable Beach comes the Baha Mar, a world-class resort complex bringing together four luxury hotels, the grandest of which is the Rosewood Baha Mar. Guests can enjoy the comfort and exceptional amenities of the hotel, along with over 40 restaurants and bars, a casino, high end shopping and entertainment on the estate. The possibilities are truly endless. Speak to your Away by TTI Travel Advisor to book, or Contact Us now. This property has the best of all worlds - location at the heart of Miami Beach, a dreamy resort feel, boutique size, and luxurious design. The Edition has caused a stir locally and around the world as the most sought-after accommodation and entertainment hotspot in the area. And in Miami Beach, that means a lot. 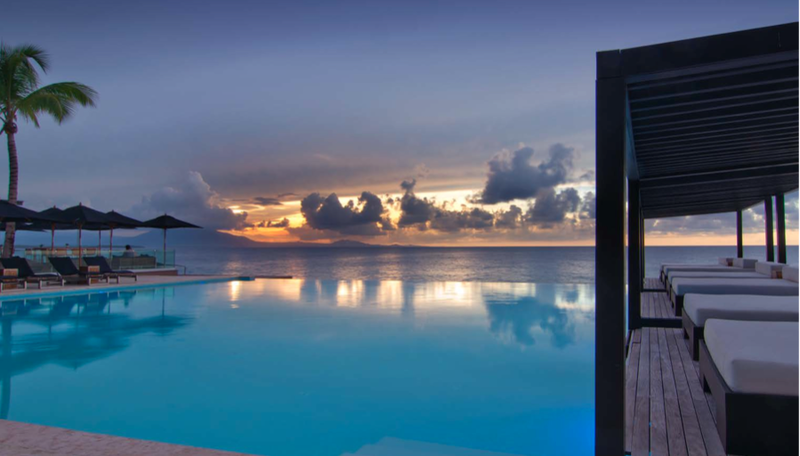 From a brand known for its urban chic hotel designs comes the second Gansevoort property in the Caribbean. Following the success of their Turks and Caicos venture comes the Playa Imbert, a sleek and sophisticated sister resort on the white sand beaches of the Dominican Republic. 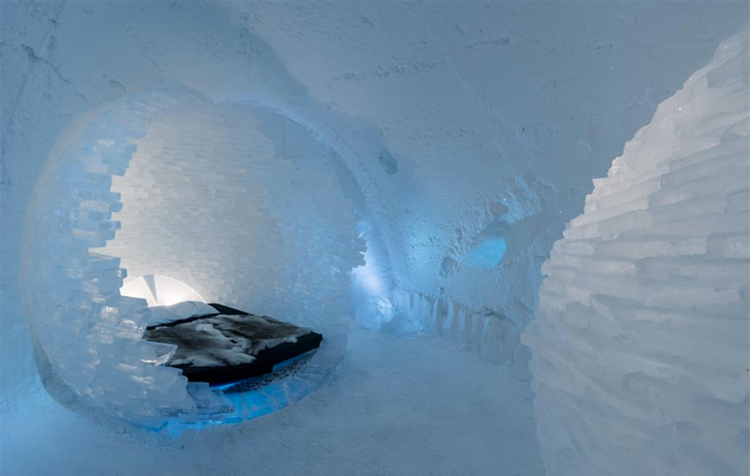 While this hotel has technically been running for 25 years, this glistening structure of ice and snow is rebuilt each year with a fresh design. At 200km north of the Arctic Circle, it's ideally placed to see the Northern Lights. Cozy up in one of their surprisingly warm guest rooms for an unforgettable experience. As Croatia is an increasingly popular destination for sun and sand, discerning travellers know where to look for privacy and tranquility. The beautiful island of Losinj provides both, thanks to the hotel's private beach and lush gardens. Hotel Alhambra is housed inside a 100-year-old villa, bringing a touch of Austro-Hungarian elegance to the experience. Villa Hortensia is the ultimate in boutique luxury. With only eight suites and one double room, guests will experience an almost completely private idyll. Like its sister property, Hotel Alhambra, Villa Hortensia is set in an Austro-Hungarian manor house, but redesigned with graceful lines and a bright, gentle atmosphere. The Fairmont Jakarta has it all - sophisticated guest rooms, luxury shopping, five gourmet dining options, a neighbouring golf club, and dramatic views of the city skyline (to name just a few of its assets). The design is contemporary with a traditional Indonesian flair. Be sure to take advantage of the opening promotion until April 30, 2015. The Six Senses is nestled in the Douro Valley, which was named a UNESCO World Heritage Site due to its natural beauty. The valley is a historic wine region, and guests are invited to indulge in the many experiences that the local vineyards provide: visits to the world's oldest wineries, outdoor dining in secret locations, and river cruises past ancient vines and castles. Not to be missed is the spa, which includes locally-inspired therapies based on grape and wine products. The Four Seasons provides an urban oasis for visitors to Casablanca. From its setting on the Atlantic Ocean, guests can enjoy the spectacular sunset as they dine on the terrace. During the day, activities range from Morocco's renowned shopping to exploring the French and Arabic history of the city. The Mandapa is set against a backdrop of rice patties, soft green hills, and the Ayung River. Guests are encouraged to breathe in the beauty of the nature around them, to reflect, and to relax. Its serene environment allows for total peace and spiritual discovery. Set in the world's last true kingdom, on the coast of the Red Sea, the Assila will open visitors' eyes to the heart of the Middle East's culture, history, and warm hospitality. The hotel has been beautiful designed combining the delicate details of traitional Islamic architecture with contemporary style. While not a hotel, we couldn't resist sharing this promotion. Benefit from Silversea's knowledgeable guides in each port of call, and stay in touch with friends from home (so you can share pictures of your cruise in real time!). From the Acropolis to the Vatican, experience Europe through a local's eyes. This hotel was built as a hospital and accommodation for pilgrims arriving at the end of the famed Camino de Santiago. The Camino, or "St. James' Way" is a walking path that, to this day, leads the devout and the soul-seeking across northern Spain. A stay in the Parador means an experience of incomparable culture and history - a sublime reward for those who have completed the walking trail.